It’s been a tough season for the Jaguars, and Saturday against the Titans it was another “L,” as the team but up a decent fight but couldn’t overcome an early deficit in a 23-17 setback. Jacksonville got close with a Greg Jones score to close them to 6 with 3:41 left, but just as they have done so often this year, they couldn’t take advantage of the chances they were given. The chances before Jones’ TD run was even more frustrating. They missed a big chance when Morgan Trent picked off a ball tipped by Drew Coleman and ran it back to the Tennessee 18. The Titans stopped the NFL’s leading rusher Maurice Jones-Drew on third-and-3 when he carried a direct snap a yard short. Dawan Landry recovered a fumble by Harper with 5:38 left at the Tennessee 35. Jones capped the drive with a 1-yard TD run with 3:41 left, but the Titans ran out the clock out from there. Titans QB Matt Hasselbeck threw for 240 of his 350 yards in the first half, as the Titans snapped a two-game skid and finished this season 5-3 at home under first-year coach Mike Munchak. Jones-Drew ran for 103 yards and a touchdown for the Jaguars. He has a career-high 1,437 yards this season. 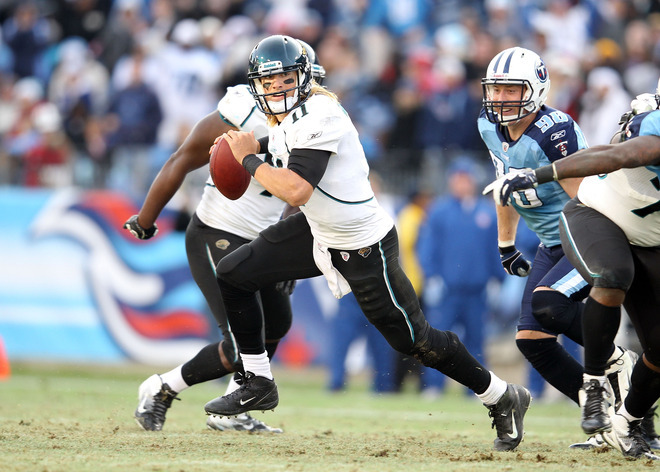 Gabbert was harassed and had another tough day for the Jags. The rookie was just 21-for-42 for 198 yards with no TD’s and a pick. He ended the day with a QB rating of 53.5. The Titans went up 10-0 when Hasselbeck hit Cook down the middle for the 55-yard score in the first quarter. They increased the lead to 17-7 early in the second quarter when Jamie Harper rushed for a one-yard score. 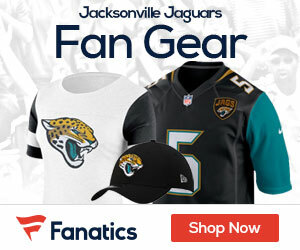 Jacksonville ends the 2011 season with a home game vs the Colts next Sunday.